Aarvy hospital is a newly renovated 125 beded hospital in Gurgaon. After the renovation the hospital management wanted the hospital to have a corporate profile and introduce the element of marketing. At Aarvy we provide 3600 marketing solutions that include, brand building and management, direct marketing, online marketing, including website & its SEO, event management & PR and empanelment and tie-ups. 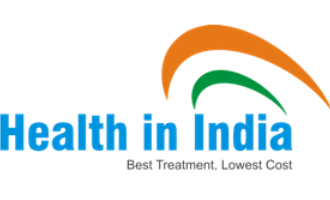 Health in India is owned by us and is the solution for all the people who are looking a healthcare solution across the length and breadth of the country. Being into the healthcare industry for so long we observed that people used to struggle and run from pillar to post to get authentic solution to their healthcare needs. This is a one stop solution to all the health care needs of these people. FIAGES (Fellowship of Indian Association of Gastrointestinal Endo Surgeon) is a conference website designed by IHC. The site is exceptional in terms of the information for the people interested in the conference. We are also one of the event managers and coordinators for the conference. Bharat Diagnostic Centre is an advanced diagnostic centre located in Bhiwadi. The centre has 4 branches running. Having been in existence for 6 years, little did people know about it. We planned and executed their online marketing and branding to improve brand visibility, thereby enhancing their brand equity.